Occasionally a wonderful little book crops up in the strangest of places and I found this magical story in the supermarket of all places (given I had read about it on 'A Little But A Lot' blog). And this is such a beautiful story I had to share it with you. 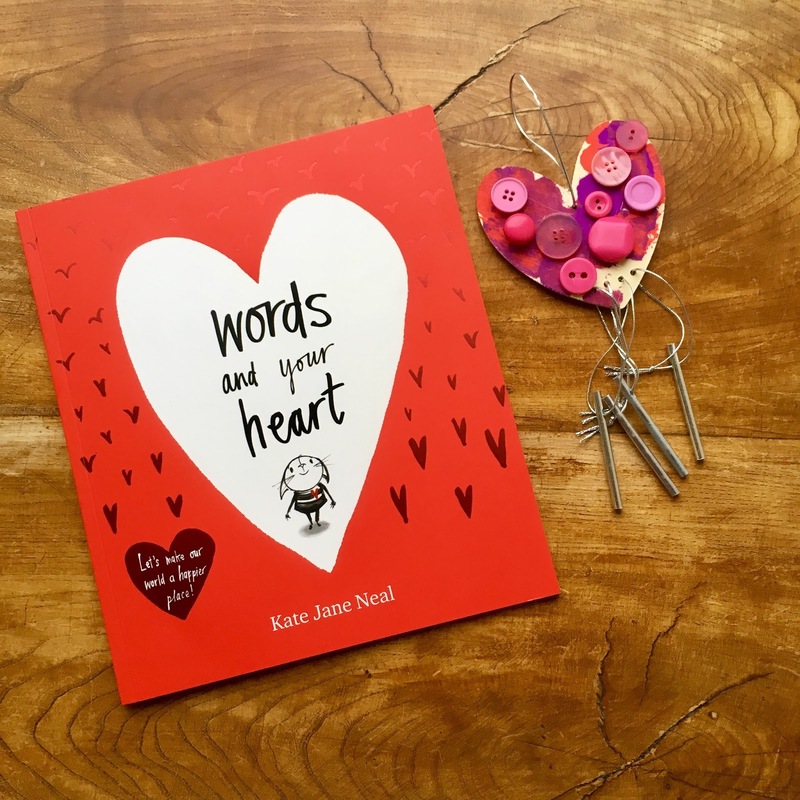 'Words and Your Heart' by Kate Jane Neal made such an instant impact on me as a parent and when I first read it I thought "yes! this is something I want BookBairn to know and to embrace". It's a very simple but powerful narrative about how your words (and others' words) can affect your heart. It begins by telling you that this is a book about your heart and that 'your heart' is the little bit inside of you that makes you, you! Isn't that just a wonderful way to talk about emotions with children?! 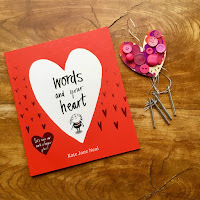 I loved this connection which is repeated in italics at the bottom of many of the pages and when I read it with BookBairn I tap her chest and give her a big smile, making eye contact so she knows that her heart is special because she is special. And now when we read it she likes to tap my heart back.
" Will you listen really carefully? Because it's REALLY IMPORTANT!" But when we read it together I try to make it more like a shared secret and that makes the message even more magical for BookBairn. The typography in the book is varied throughout with use of italics, bold, capitalisation as well as hand-drawn text which I think really helps, as the reader, you to vary your tone of voice as you read which really draws children in (this is something I have been thinking a lot about recently - how we can become more effective readers when reading aloud). The book then tells you all the wonderful things that words can do such as: describing things, explaining stuff, make you happy, make you cry (even pierce someone's heart). Because your words have power! Isn't this so empowering for children? Especially ones like BookBairn who are just learning to speak and finding their own voice. "Your words can actually change the way someone's heart feels." They have the power to cheer someone up when they are sad, make them keep going when they are about to give up, make them giggle, laugh and grin. 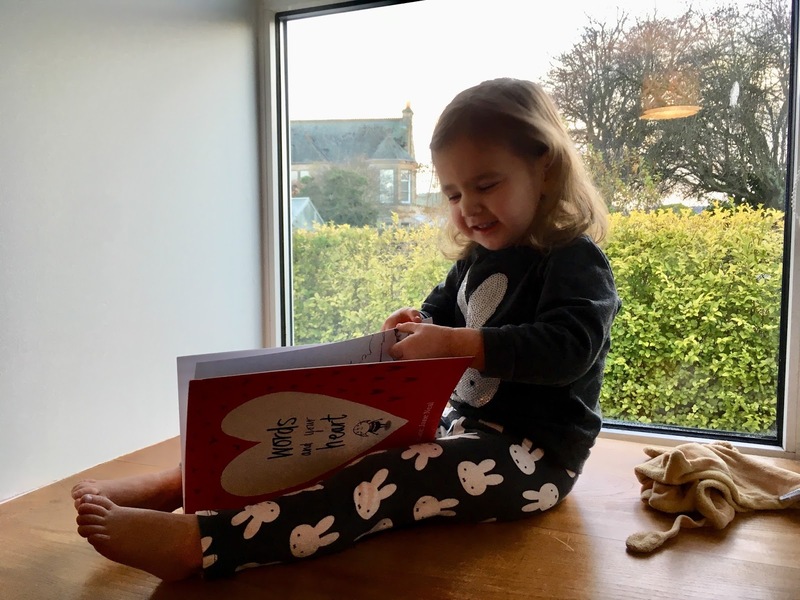 The book ends by reminding children that their words are amazing and powerful and if we use them in a kind way we can make somebody else's world a better place and that makes us feel happy. And that we should look after each others' hearts. 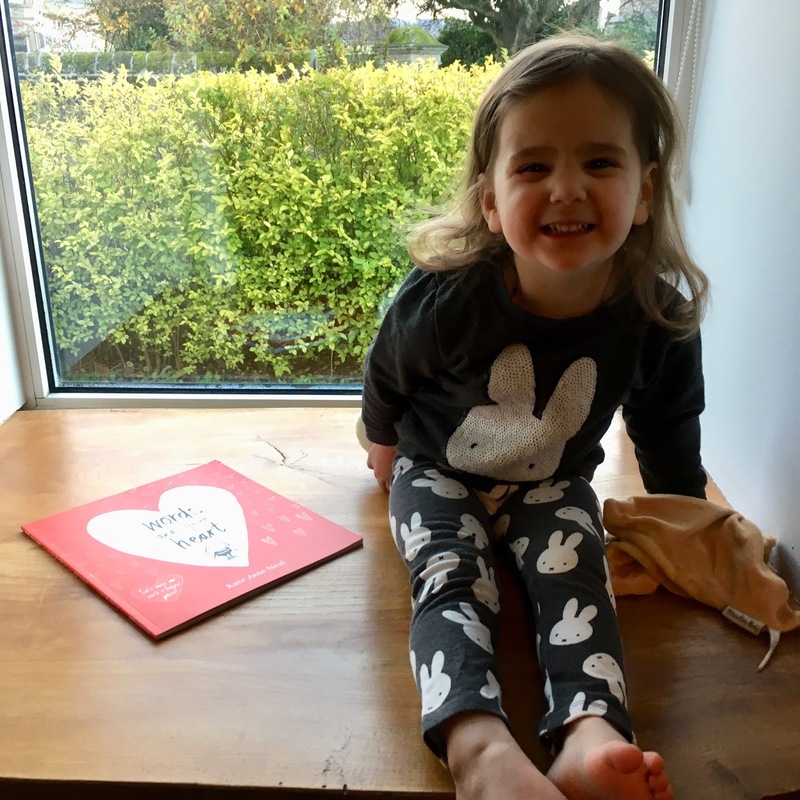 Such a magical tale that is really empowering for young children as well as encouraging them to be kind and, in turn, make our world a happier place. Kate Jane Neal is incredibly clever in her choice of words and empowers children. The illustrations are very simple with only a black and red colour palette against a white page. Again this plays to the fact that this book is about the words being important. If you have a little one you must pick up a copy of this book. It really is a wonderful read and it's one that we will be reading again and again and again. And look after your heart - that little bit inside of you that makes you, you! You will enjoy it! It's a lovely story! A great sentiment. Words are so important. What you say to others and how you say it can really affect them (and you). I look forward to reading this book with BookBairn and getting my heart tapped. I know she has tapped your heart already!